First becoming a globe and then becoming a spreading conifer. Large specimens i.e. are 10 feet across and approximately three feet tall at the center. I'd consider this a ground-cover, conifer. 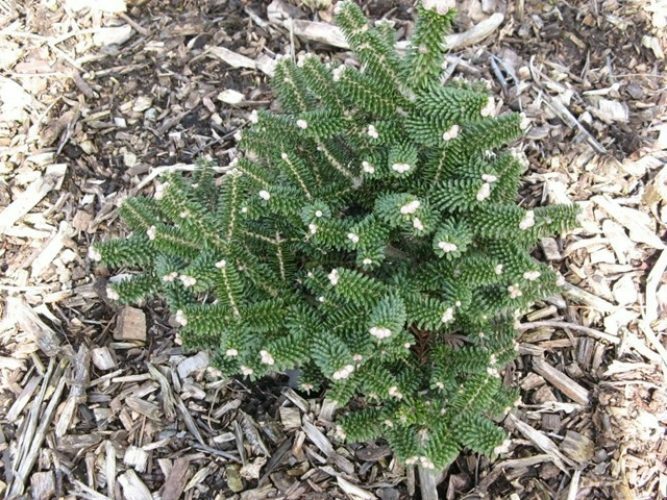 Abies koreana 'Alpin Star' Photo courteous of Henk van Kempen, The Netherlands, The Dutch Conifer Society.